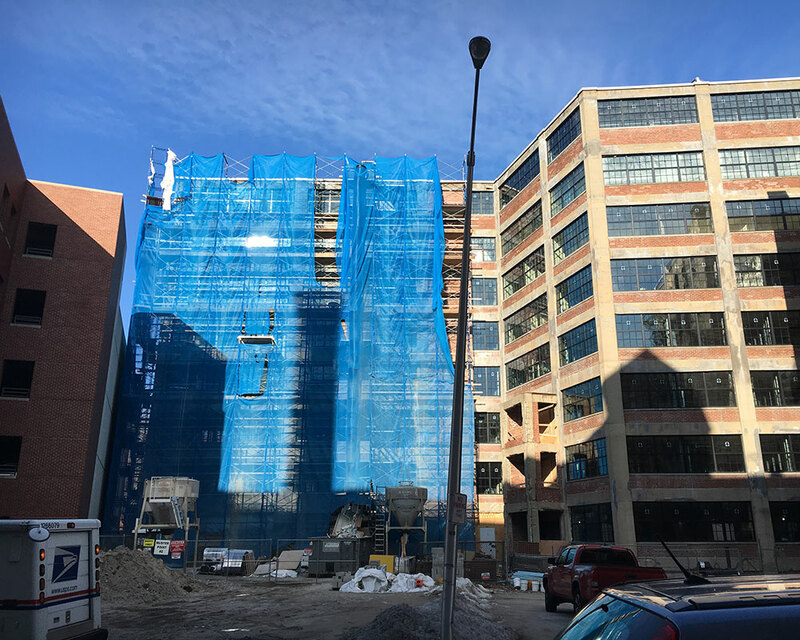 Both the general and roofing contractors at a downtown job site where a man fell to his death in December face fines for “serious” safety violations. The federal Occupational Safety and Health Administration cited NEI General Contracting of Randolph and Progressive Roofing of Haverhill in connection with the death of 41-year-old Carlos Ortiz, according to an OSHA spokesman Tuesday. Ortiz was working on the roof the nine-story Chen building at 98 Essex St., when he fell through a tarp-covered elevator shaft. NEI was cited for two serious violations with $18,413 in proposed fines, while Progressive Roofing was cited for two serious violations with $17,503 in proposed fines. Besides fall protection-related violations, Progressive was also cited for lack of frequent inspections of the jobsite, the spokesman told WHAV. Although Progressive was a sub-contractor, OSHA typically faults both the general and sub-contractor through the agency’s “multi-employer citation policy,” established in 1999. Both employers have already scheduled meetings with OSHA. They may also fight the citations before the independent Occupational Safety and Health Review Commission.